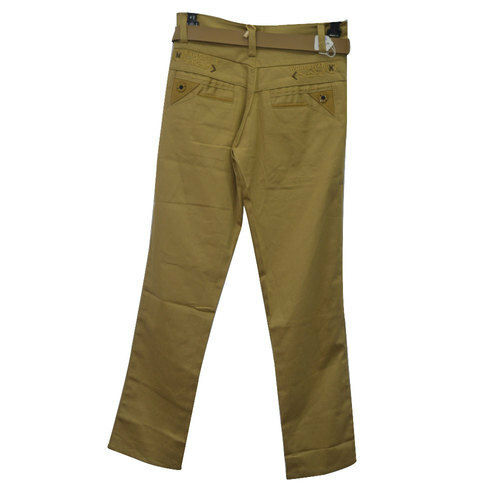 Owing to our proficiency in this domain, we are providing our clients an optimum range of Boys Stylish Jeans. Incorporated in the year 2009, Arihant Garments has become the most reckoned name of this highly challenging industry. Headquarter of our company is located in Malad West, Mumbai, Maharashtra, India. Ownership type of our company is sole proprietor and our whole endeavors are focused towards manufacturing and trading a comprehensive range of Kids Jeans, Boys Jeans, Kids Shorts, Girls Gown, Girls Lehenga and many others. All our range is designed with utmost precision by our creative team of experts, who are aware of the rising demands and expectations of the clients. We have adopted modern technologies of production, which have enabled us staying in tune with the market challenges. Also, strict quality checking measures are adopted by us to ensure that our products are in accordance to the set industrial guiding principles.